I’m an adventurous guy. Some might call me audacious (which they all do), though my camping partners call me intelligent. Perhaps even innovative because of how I come up with creative outdoor ideas. To all of these I say – I’m just an adventurous guy who loves good challenges. Besides just liking camping and outdoor adventuring, I’m always thinking of a new approach for each extra responsibility and task that comes with outdoor adventuring. 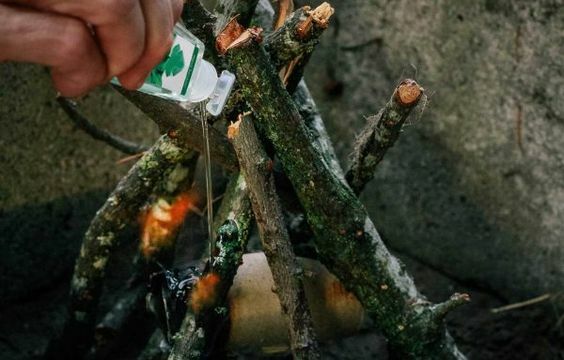 So, as much as you need a sense of adventure and eagerness to enjoy camping, here are 33 crazy camping hacks and tricks you should know about to enjoy every moment. 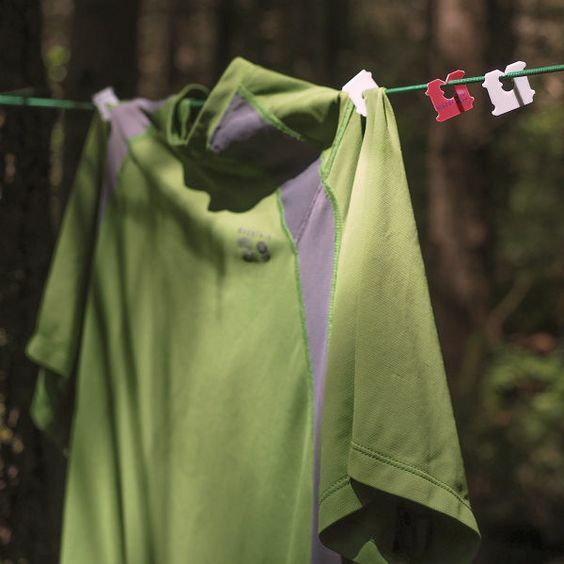 For many years campers have been looking for tricks to keep their clothes from wrinkling when camping. Many of us struggled with different hacks and tricks until we were introduced to hanging sorters. 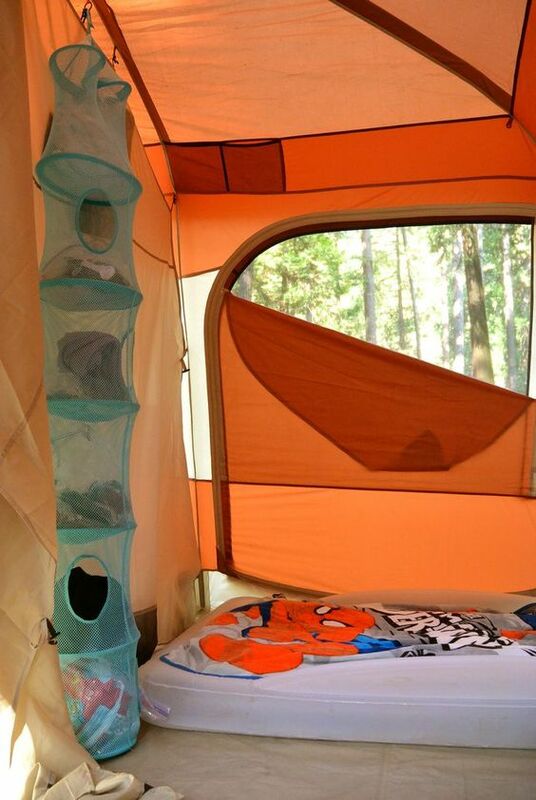 The hanging sorter is a genius idea that has made it easy for campers to keep their clothes wrinkle-free. You can also get one for hanging up your outdoor utensils. You may find yourself camping under the scorching sun that could make your tent unbearably hot. You can use a reflective blanket to repel/deflect sunlight, keeping your tent cool. 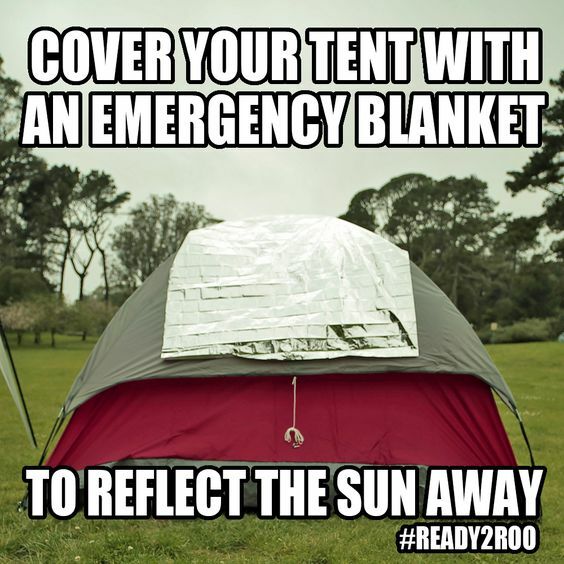 Just spread the reflective blanket on top your tent (directly against the sun) and let it reflect the sun away. You don’t have to spend lots of money to get some extra smooth light for your campsite. 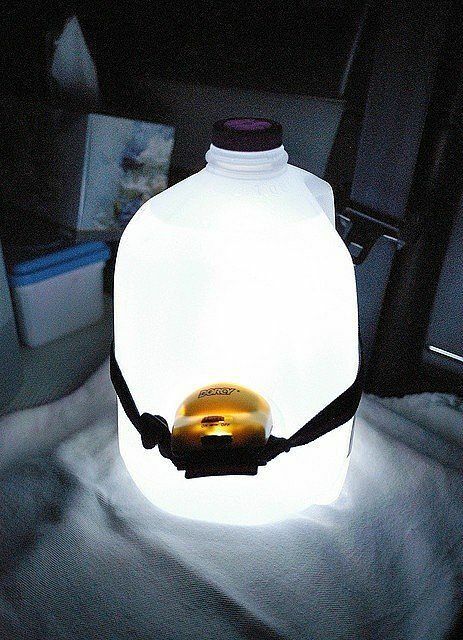 Just get a clear gallon jug, fill it with water, wrap your headlamp around it, turn it on, and enjoy the soft, ambient light from your makeshift lantern. You’ll be surprised how it provides soft lighting that fills your tent. Hack via Popsugar. You don’t want to deal with jamming zippers when you’re out camping. 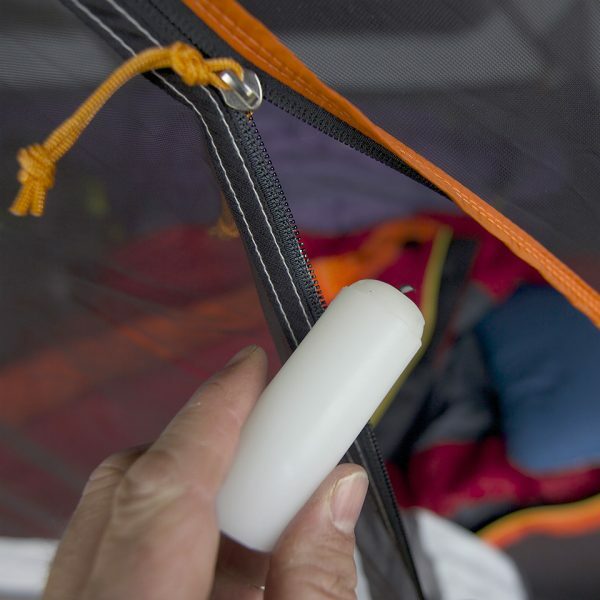 Keep your tent or bag’s zippers zippy by applying candle wax from un-lit candles. The candle wax makes zipping smooth and prevents them from jamming. Via REI. 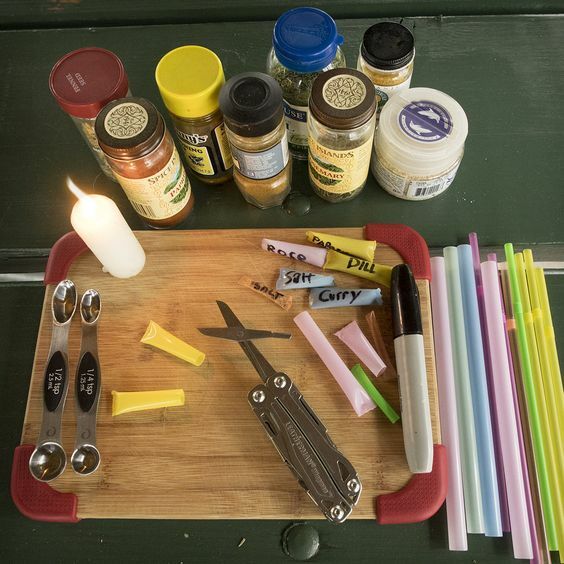 You can bring your spices in flame-sealed straws and avoid packing your bulky spice containers. Just cut long straws into small sections and use them to make handy spice holders by flaming sealing the ends and labeling them correctly. Via REI. This is one of the most genius camping ideas. You don’t have to worry about the eggs breaking or cracking along the way. 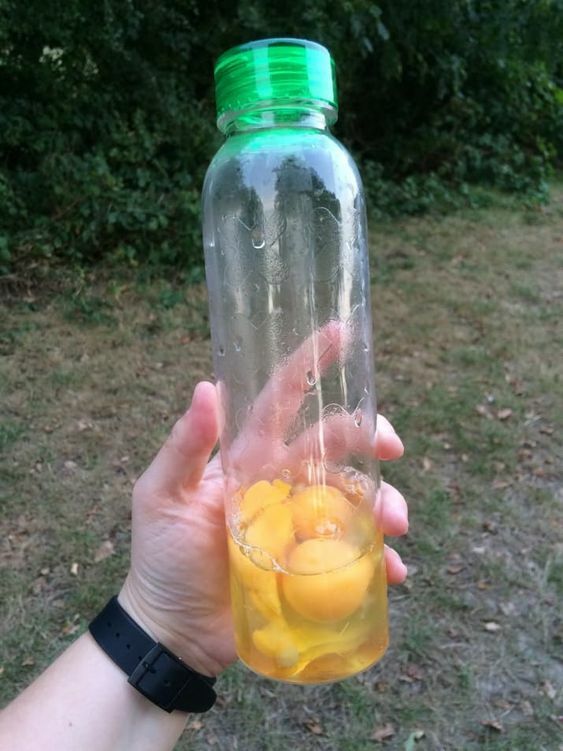 You just need to crack the eggs into the bottle and store them in your until you’re ready to use them. To make scrambled eggs, just shake the jar/bottle vigorously and pour them into the pan. Via. 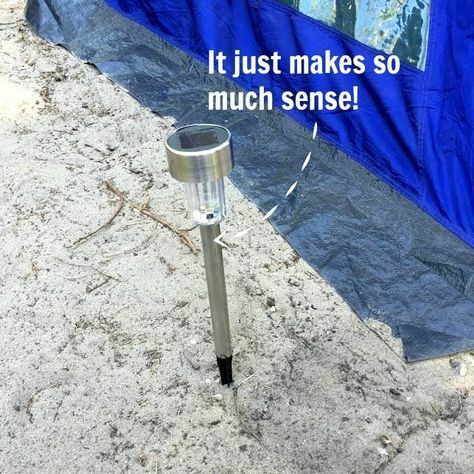 You need convenience when you’re out camping and pre-made or shake-and-pour are among one of the best camping hacks and tricks today. 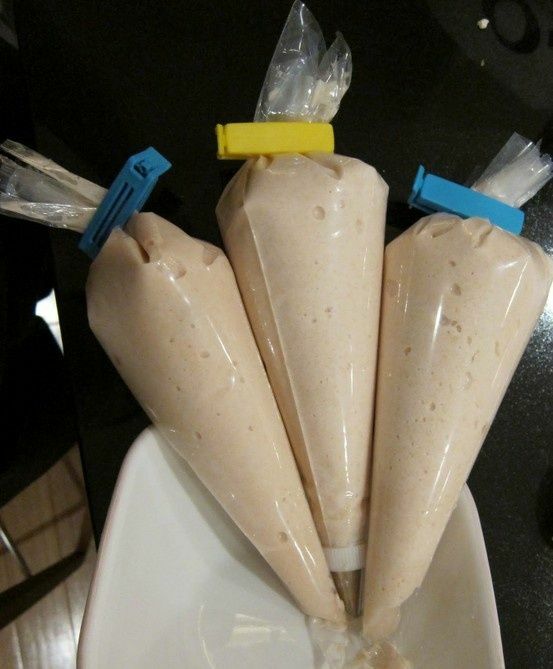 You can pre-make your pancake batter by mixing all your ingredients, putting the mix in plastic bags, and the freezing them. You could also prepare and store a dry mix in a mason jar ahead of time. Once you’re ready to make the pancakes just add the eggs and water, and shake. Via. You could use Sage (Salvia Officinalis) to create your own mosquito repellant when you’re out there camping. Sage leaves and stems are known to emit a strong fragrance and produce oil extracts that are used to manufacturer mosquito repellants. You could create your homemade sage oil repellant by following a short recipe and use the oil repellent for camping. 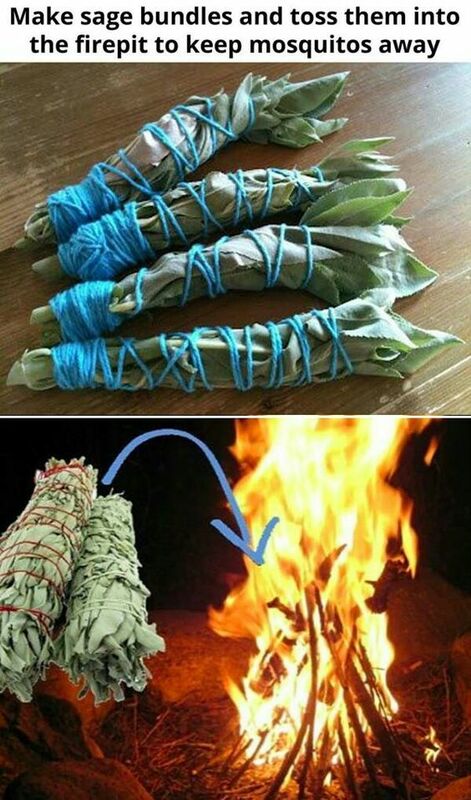 When you’re out there camping, you could also throw some sage leaves and stems on the fire to keep mosquitos away. Via. 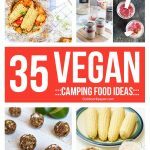 Maintaining healthy eating habits is still important even when you’re out there camping. This means you have to maintain a balanced diet by balancing your nutrient sources. You don’t have to complicate your camping meals. 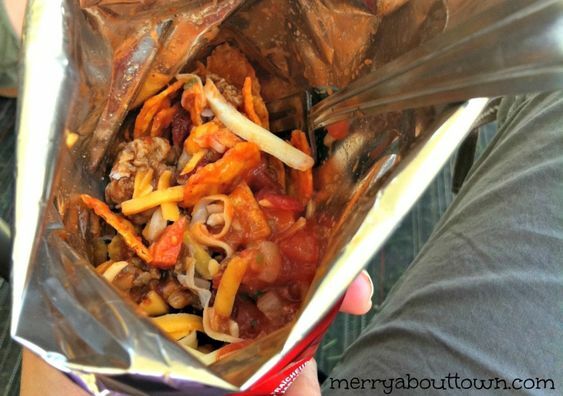 This idea of Taco-In-A-Bag is the best way to keep your meals simple with the right nutrients. Get your Taco-In-A-Bug from your preferred producer and when you’re ready to settle for a camping meal, just add the necessary ingredients, shake the contents of the bag for everything to mix up, and that’s it. Grab a spoon or fork, open the bag, and dig in. Via. Along those same lines, cooking can be so challenging, though some people still find it fun. When it comes to your camping trip desserts, one easiest and friendliest camping dessert course is Campfire Cones. To make the cones, you’ll just need a waffle cone (whichever you prefer) with your favorite combo of fruits and other sweet treats, carefully wrap it in foil, and place it in the coals of your fire for about 5-10 minutes. Sounds simple, doesn’t it? Whether you’re a veteran or new camper, campfire cones are just the real deal for camping desserts. Via. Your camping experience only gets better depending on how creative you can be. Camping desserts don’t get any better until you try out the popular campfire doughnuts made out of biscuit dough. You’ll need refrigerated biscuit dough, ground cinnamon, and granulated sugar. Just heat some oil in a large cast-iron skillet (you could use an empty can), after the oil has heat until bubbles form poke a hole in the middle biscuit dough, dip them in the bag containing both sugar and cinnamon, and shake them to coat the dough. Fry the coated biscuit dough until golden, probably 3 minutes for each side. Once they are ready, drain the doughnuts on paper towels, that’s it. Some people would prefer coating the doughnuts with cinnamon sugar instead of the dough. Via. If you happen to go camping with your kids, campfire elcairs would be a better dessert option for your family. You’ll need some refrigerated crescent rolls, vegetable oil, chocolate frosting, and pudding cups to make campfire elcairs. Use an aluminum foil to wrap both ends of the roasting sticks, divide the crescent rolls into separate squares (probably four) using your fingers to press them together, then wrap the rolls around the dowel (with no holes). You’ll then bake the rolls by rotating the roasting stick over hot coal until all sides of the roll have browned. Once the rolls are fully baked (browned), remove them gently by rotating the roasting stick as you smoothly pull them off. Allow to cool for a couple of minutes, fill the pastry’s inside with pudding, use the chocolate frosting to frost the top of the pastry, and that’s it. Via. Every new day brings with it new camping ideas. Campfire strawberries have been popping up all over the social media lately. I tried it recently and I bet it’s just heavenly as it looks. 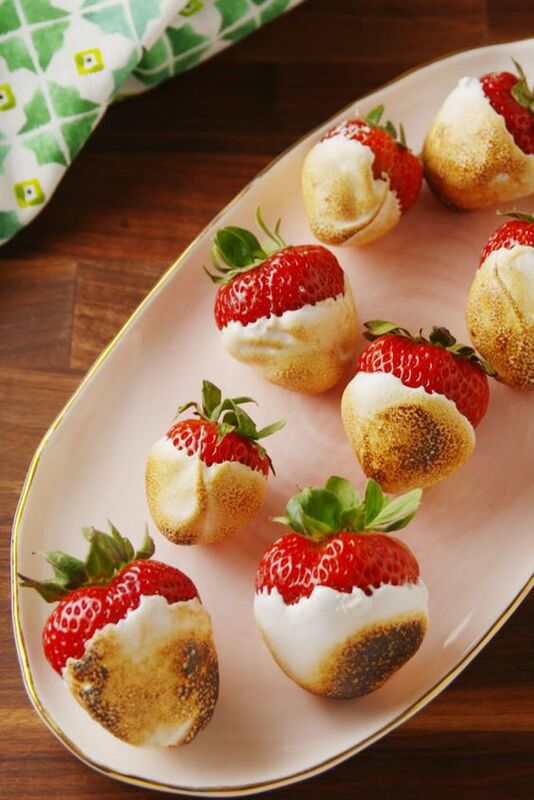 Pierce the strawberries with a skewer, dip them in marshmallow crème (fluff) and roast on a flame to fruity perfection. Roast until the coating appears toasted while the berries appear melty. Via. Cooking is one of the best activities to engage in when you’re camping and it’s important to keep the cookware safe. Using silica gel packets have proven quite useful for sucking up moisture in items that tend to rust. This means you’ll need to collect them from whatever packages you purchase, or buy a pack of them, as they may just save your cookware from rusting. 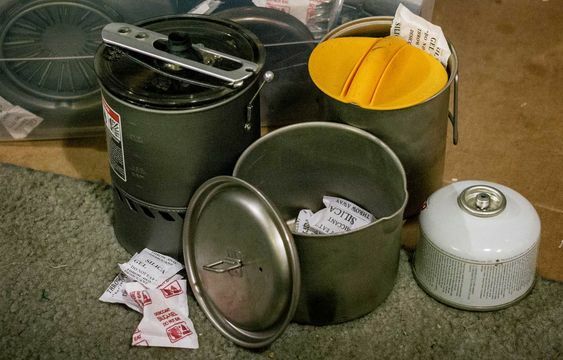 Use these packets to pack your cookware and save yourself from the disappointment of pulling out rusty bowls or skillets on your camping trip. Via. We all know that waking up to wet or cold sleeping bag is no fun. 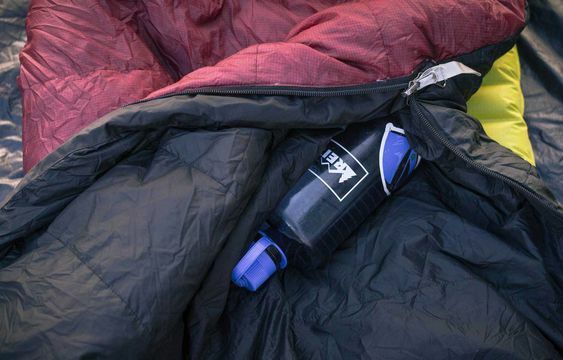 To cope with the cold nights while camping, you’ll need to fill your Nalgene with hot water and toss it in the bottom (feet area) of your sleeping bag before you retire for the evening. This idea utilizes the heat-storing capabilities of water and how warming our bodies’ remote extremities helps warm the entire body. Just make sure that your Nalgene is made out of hard plastic for better and gradual dissipation of heat. In case you don’t own one, you could try burying a water bottle in a few shirts. Via. If you prefer sleeping in socks, try to save a pair that you’ll be putting on before you toss your feet into the sleeping bag. With this trick, you’ll be taking advantage of your emotional and mental comfort. Wearing a clean pair of socks tends to lift your morale tremendously, not when you’re sleeping but also when you’re running your day to day errands. Well, even if you can’t afford to shower, putting on a clean pair of socks that will help you keep the bark, pine needles, splinters, dirt, dust and whatever else your everyday socks may have picked from entering your sleeping bag. Via. Camping is more about getting creative and utilizing the limited resources around you to come up with a masterpiece. If you’re going camping with someone you don’t mind sharing a sleeping bag with, then a double sleeping bag is an ideal option. 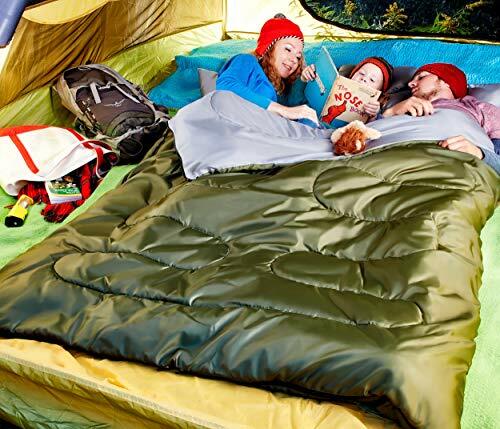 With the duo sleeping bag, both occupants will keep warmer because of the heat transfer between them. Besides, sleeping bags are either made out of down feathers or synthetic fluff to keep you warm. 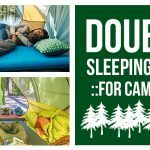 The double sleeping bags will not only keep you warmer than the single occupant bags but can be folded into a portable sack for easy transportation. Buy it here. You know those gliding toys (frisbees) that you often pack for your camping trips? Well, they are actually quite useful for serving food, especially if you forgot to bring any or enough plates. That’s why I recommend carrying them as they may just serve dual purposes. Just give your Frisbee a clean wash, flip it over, and there you have a “plate”. The Frisbee’s lip will serve you well to hold every type of serving, including those with sauce. 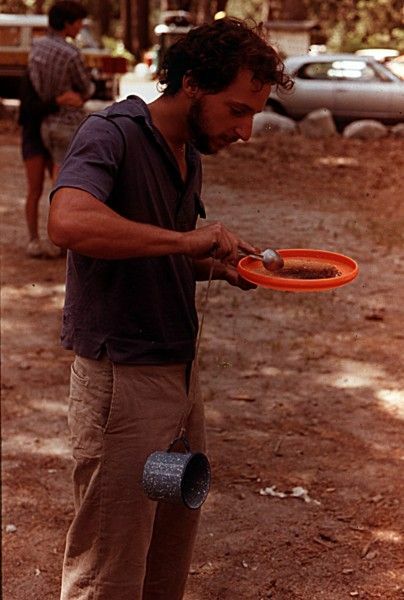 If you’re worried about space, why not bring several Frisbees rather than carrying disposable plates. This can be a lot more since they will serve a double purpose. Via. We all know how challenging it can be to bring ice on a camping trip. It melts quickly and could turn into a watery mess easily with things getting (non-plastic packages) getting soaked and soggy. So, instead of pouring ice into your cooler, you should freeze gallon jugs of water and have them in instead. The jugs are perfectly built for expansion in freezing and won’t crack in freezing. 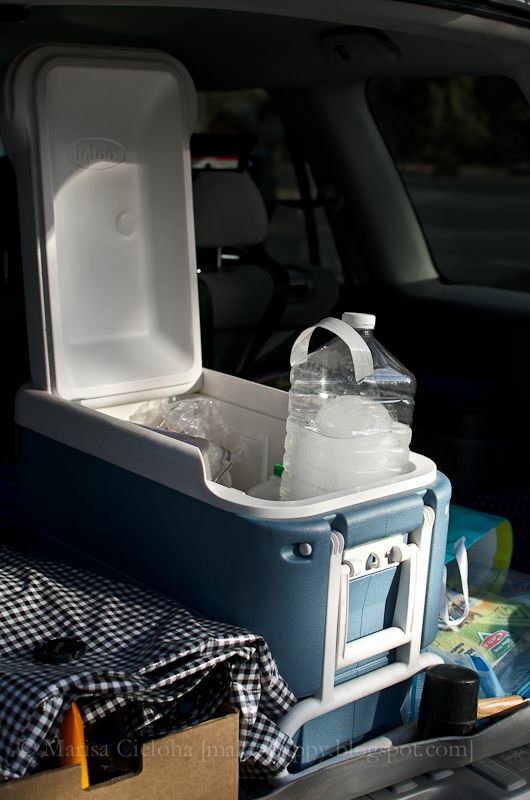 This means you’ll have ice you need for your cooler and drinking water in a single package, without having to worry about the watery mess that comes with ice. Via. The rake you’ve used to clear or clean your camping ground could be so useful for cooking your hot dogs over the campfire. 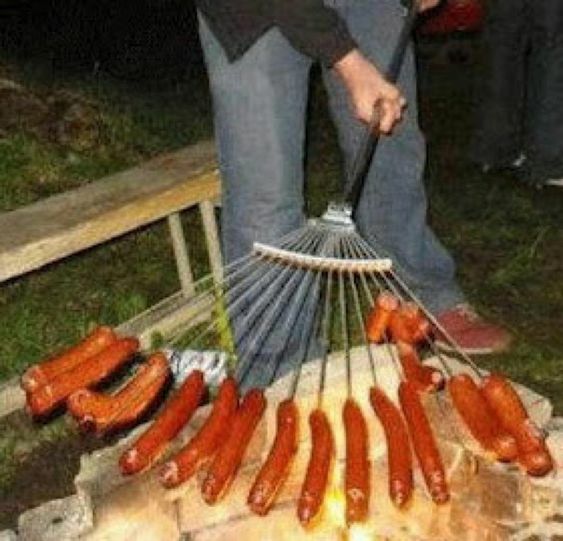 Just skewer enough hot dogs on the rake and roast them over an open fire or a grill. With this simple trick, you’ll be cooking all your hot dogs at once. Via. If you can’t get used to the hard ground under your tent, I prefer you get some floor padding for comfort. Foam floor tiles are specially designed to not only soften your floor but to also keep dirt and mud out of your floor. 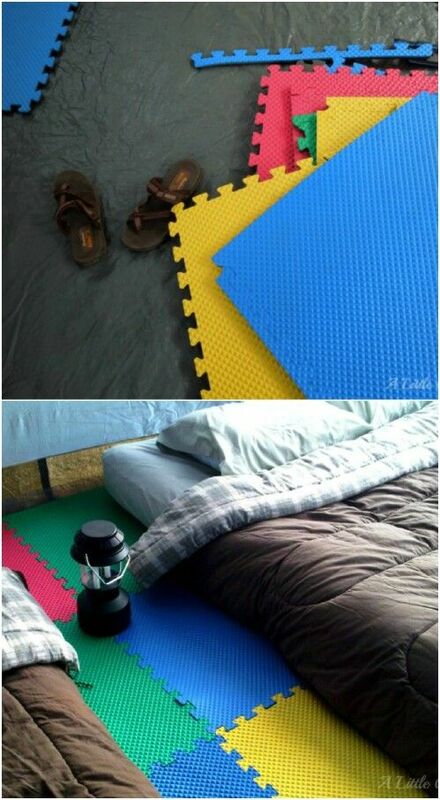 Can’t get the foam floor tile for your upcoming camping trip, you could try yoga mats. Via. Some may not take this as a hack, but I still believe solar lights have become pretty useful for most campers. Just like the solar-powered garden light, the camp solar lights charge through the day and give off enough light through the night to help you avoid those midnight accidents. You’ll just have to place the outdoor solar lights near the tents’ tie-downs or stakes to avoid tripping over things in darkness. Via. Worried about the damp wood and fire rings that could make it difficult to start campfires? Well, this trick got you covered. 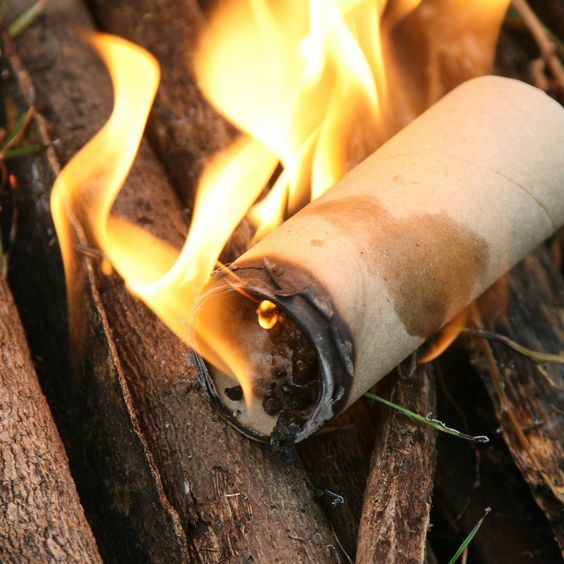 Just get the lint trap in your dryer, stuff the lint into a cardboard toilet paper tube, and you’ll have your homemade fire starter for your next camping trip. Once you’re ready to start your campfire, stack your logs, put the homemade fire starter near the base of the heap, and light it up. Via. One thing you can never forget when you’re out camping is the hand sanitizer. As much as they help keep you safe from your unhygienic activities, they might as well been used as fire starters. You’ll need them to start a germ-free campfire in a pinch. Via. Don’t let those damp wood or fire rings ruin your camping trip. 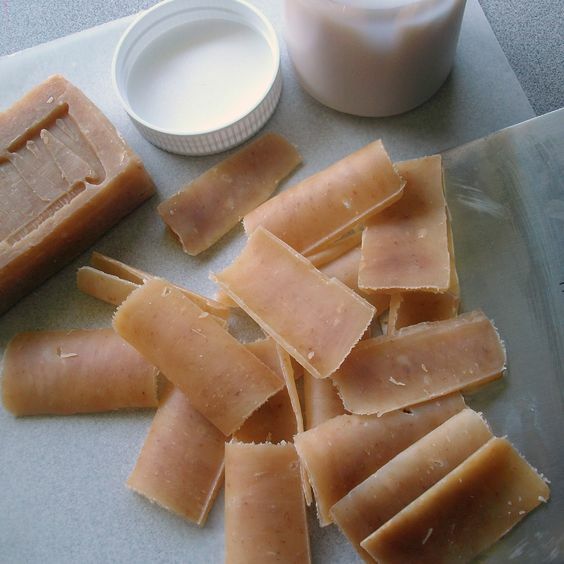 You could also get several pieces of cotton dipped in wax and packed for the camping trip. A quick an easy way to avoid the disappointments in the woods. Via. 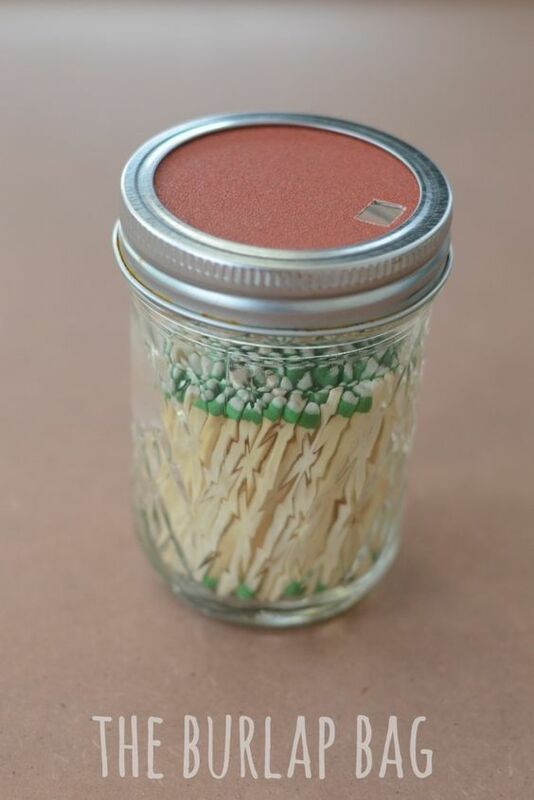 Whether you’re planning for a camping trip or just interested in keeping your matchsticks safe, this trick will work best for you. 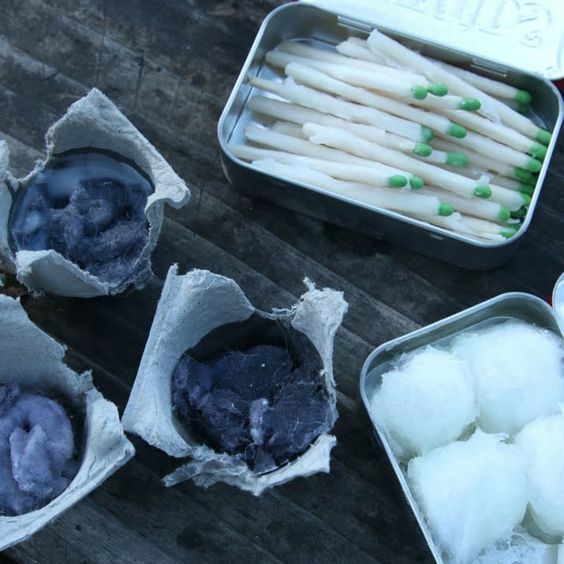 You’ll need to melt candle wax, dip the matches (heads or the entire stick) in the melted wax and let them cool. As an alternative to melted candle wax, you could try waterproofing the matches using fingernail polish. Via. 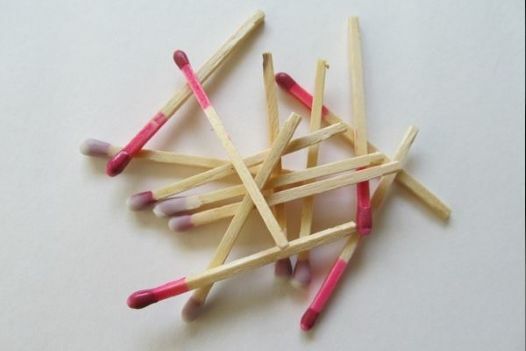 Once you’re done protecting the matchsticks, it’s about time we talked about the match holders. Since the holders may also get wet, you’ll need to utilize the waterproofing properties of sandpaper that will be glued inside the top of the match holder for waterproofing and easy lighting. You don’t have to worry about wet or soggy or worn out strike pads. The fine-grained sandpaper offers you a large, coarse striking surface with great waterproofing properties. Via. Imagine what happens if your single bar of soap drops in the lake and you don’t find it. Does this mean you won’t clean up for your entire camping trip? Will you continue rooting the lake’s bottom to get it? Save yourself from this common camping problem by using vegetable peelers to slice the soap and store the slices for use when heading off to shower. This will also help prevent the soaps from messing up with your belongings when packing for your next trip. Via. Many people have often written to me seeking to know some tricks and hacks they may use to save their drowned gadgets such as phones, tablets, etc. Well, through my experience, carrying a bag of rice has proven useful when it comes to drying and repairing them. 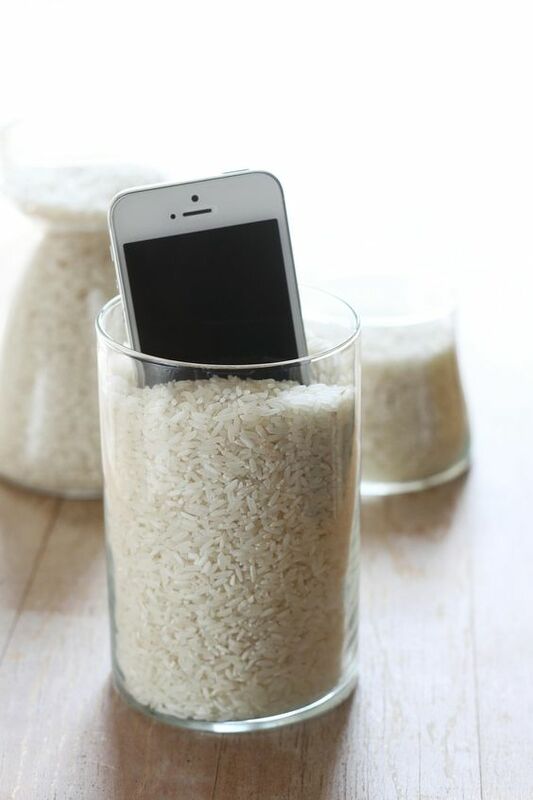 If your phone drowned, put in the bag of rice and leave it to dry for at least two days. Cross your fingers. Via. I know you can’t get all your essential household items to your campsite. You’ll, therefore, start stockpiling your bread tags because they make great clothespins. This is one of the most ideal family camping hacks that could see you transform your campsite into a magical home, just for a couple of days. Via. Though most manufacturers tend to present their bags as waterproof gears, you’ll be surprised by how much moisture these bags absorb in wet environments, under light and heavy showers. 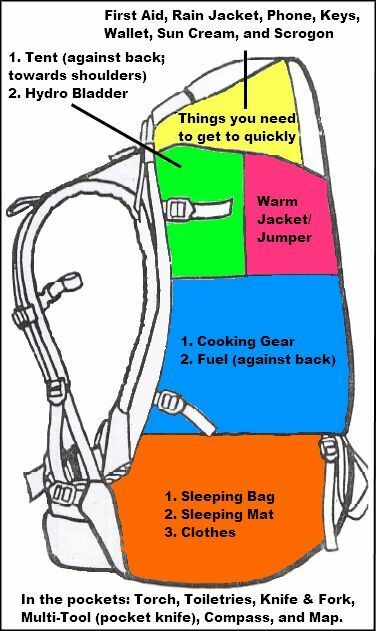 To avoid the disappointments, I would advise that you line the inside of your camping backpack or bag with a trash bag before packing your items into it. This will helps keep the contents of the bag safe and dry. Avoid wet clothing in your bags too. Via. Worried about the discomfort of wet shoes while camping? Here is a trick to help you dry them out as you retire for the evening. Remove the insoles and set them aside to dry independently, stuff some dry, dirty clothing into the shoes and leave them to absorb the shoes’ excess moisture overnight. This means the moisture in the shoes will transfer into the dry clothing. Via. 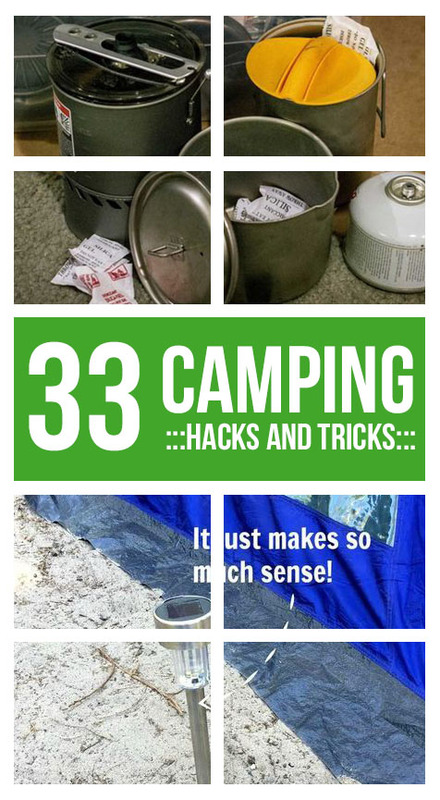 Have you enjoyed my 33 camping hack and tricks? Well, I believe you’ll find the hacks and trick very useful through your camping and outdoor adventures. These are some of the things I’ve learned as a camper and they’ve been so helpful to my partners and me. 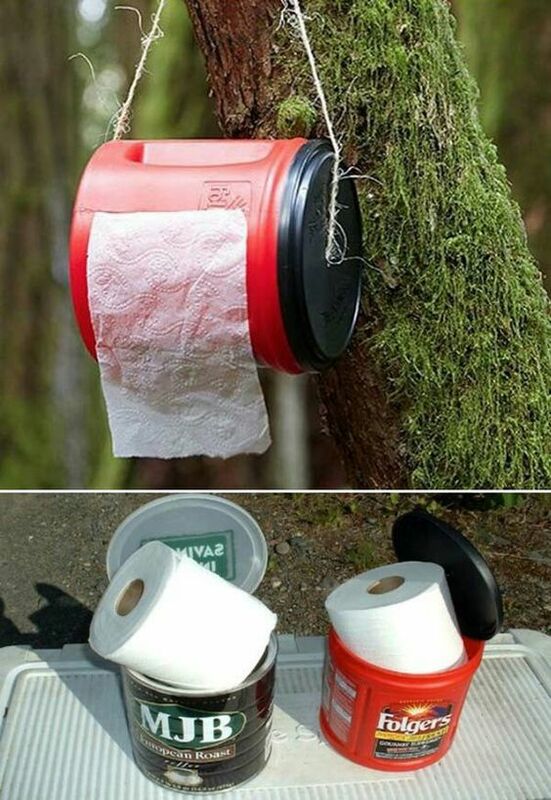 Honestly, I know not all ideas may apply to you, but every once in a while you must find a few that will be useful depending on your preferences and camping environment. There’s no law that dictates what you need to bring to your camps, you don’t have to adhere to somebody else’s camping list. Just get everything you find necessary and try to be creative with what you have. Let us know what you think about these ideas by sharing your thoughts and remarks in the comments section. Thank you.